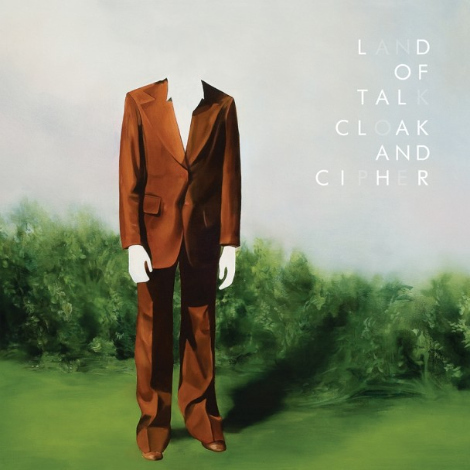 In support of the band’s sophomore release of ‘Cloak and Ciper’ (out aug 24th, Saddle Creek), Montreals Land of Talk will be blazing a trail across North America this fall on their most extensive headlining tour to date. On their last tour, we saw them as openers for Broken Social Scene; Elizabeth Powell doing double duties performing each night with both bands. The new album was recorded in Montreals Breakglass Studios in the Fall of 2009 with producer Jace Lasek (Besnard Lakes, Wolf Parade, Sunset Rubdown), including a whos who of the Montreal music scene with special guests including Patrick Watson, Jeremy Gara of Arcade Fire, and members of Stars, Wintersleep, Besnard Lakes, and Esmerine. For a listen to whats coming up, you can jump over to Stereogum for ‘Swift Coin’ or Check out Land Of Talk performing ‘Quarry Hymns’ for La Blogotheque.